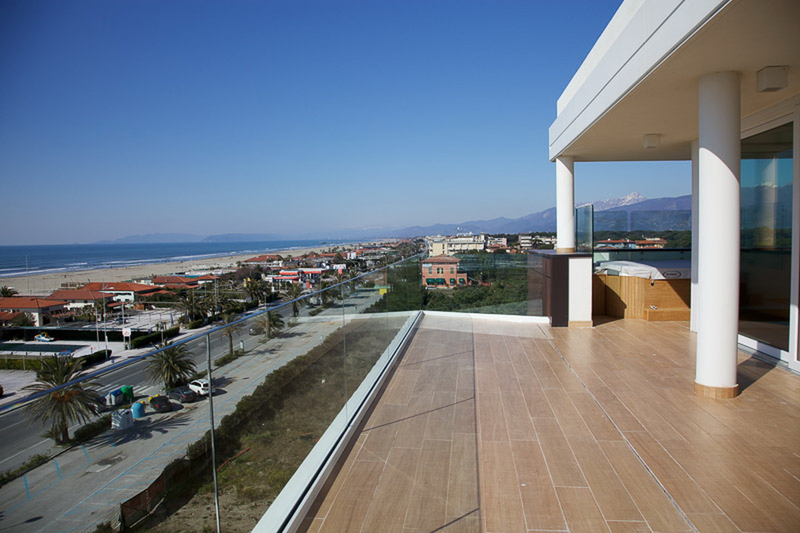 The apartments are situated within a new building on the promenade at Lido di Camaiore. 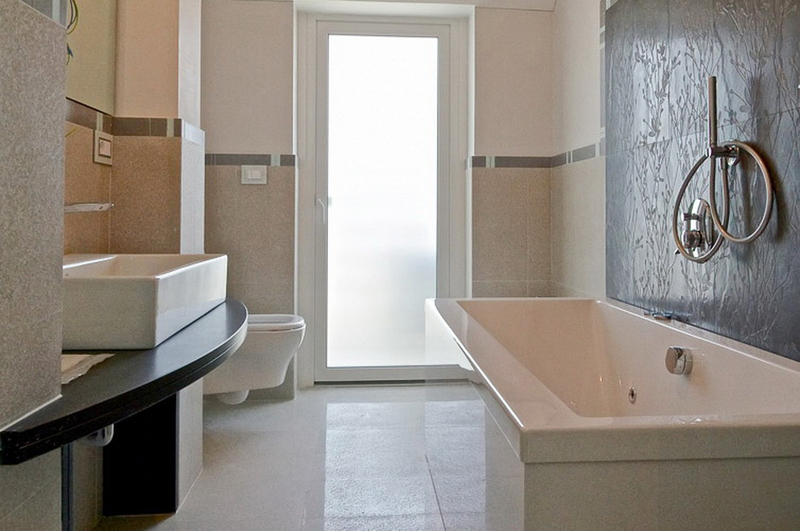 The units available are of 4 different sizes and are on the basement, ground, first and second floors. 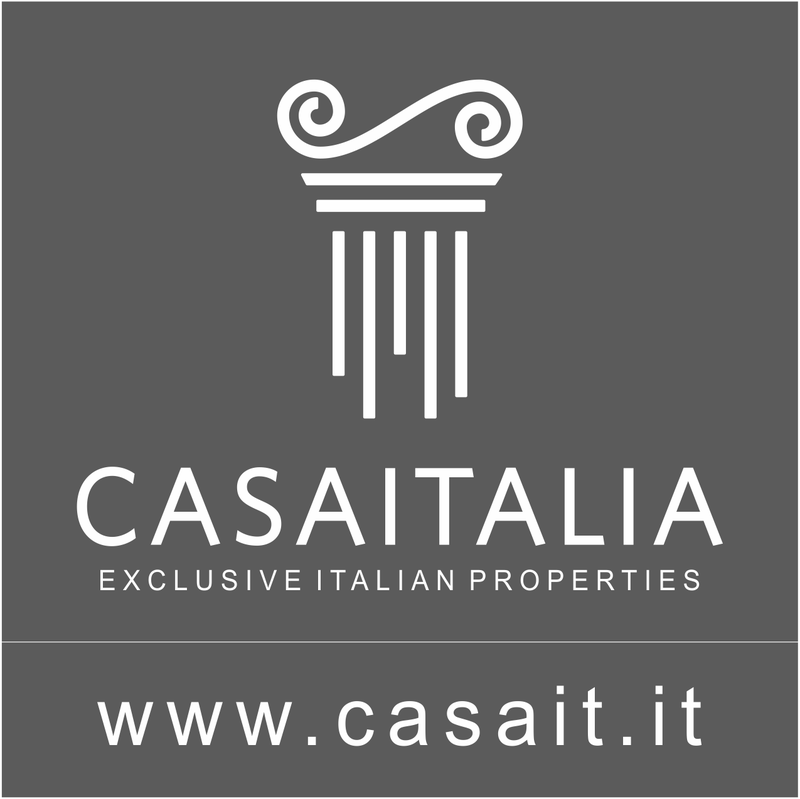 The location is perfect: on the seafront while at the same time close to all the amenities a city like Camaiore, a seaside town which is busy throughout the year, has to offer. 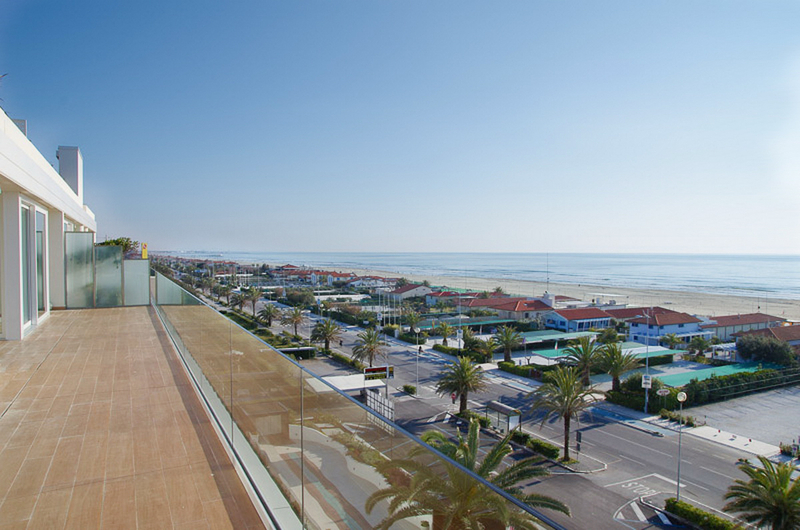 The location, halfway between Viareggio (4 km) and Forte dei Marmi (7 km) is perfectly connected with the main highways; in fact, the connection with the A12 and A11 motorways makes it possible to reach some of Tuscany and Liguria’s main historic cities: Pisa (27 km) and Lucca (29 km) are about half an hour away, Livorno (53 km) and La Spezia (52 km) are 45 minutes away, while Florence (104 km) and Genoa can be reached in about an hour and a half. The nearest airports are Pisa (37 km, about half an hour by car), Florence (93 km, about an hour) and Genoa (143 km, an hour and a half). Description of buildings Within the building, there are 22 units of which 11 are still available. 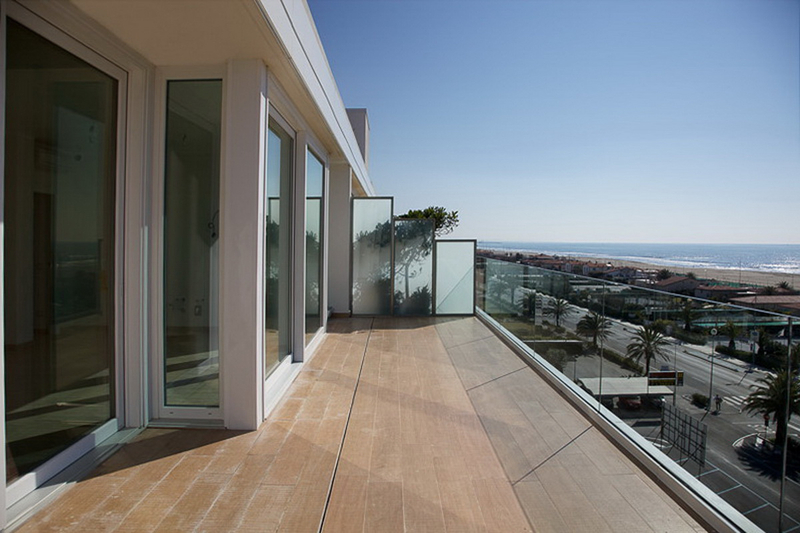 There are 4 types of apartments: Type 1 Price 1.660.000 € 2 apartments still available. Total surface area of 122 sq.m, over two floors (ground floor and basement), benefit from a private garden on two sides and comprise: - Living room - Kitchen - Pantry - 2 bedrooms with private bathroom - 1 single bedroom - Bathroom - Basement room and Cellar - Private garden of 247 sq.m, 22 sq.m porch and 7 sq.m of balcony space. Total saleable surface area: 234 mq. Type 2 Price 1.660.000 € 1 apartment still available Total surface area of 125 sq.m over two floors (ground floor and basement) benefits from large private garden and comprises: - Living room - Kitchen - 1 bedroom - 2 single bedrooms - 2 bathrooms - Basement room and cellar - Private garden of 680 sq.m with parking, 22 sq.m porch and 7 sq.m of balcony space. Total saleable surface area: 234 sq.m. 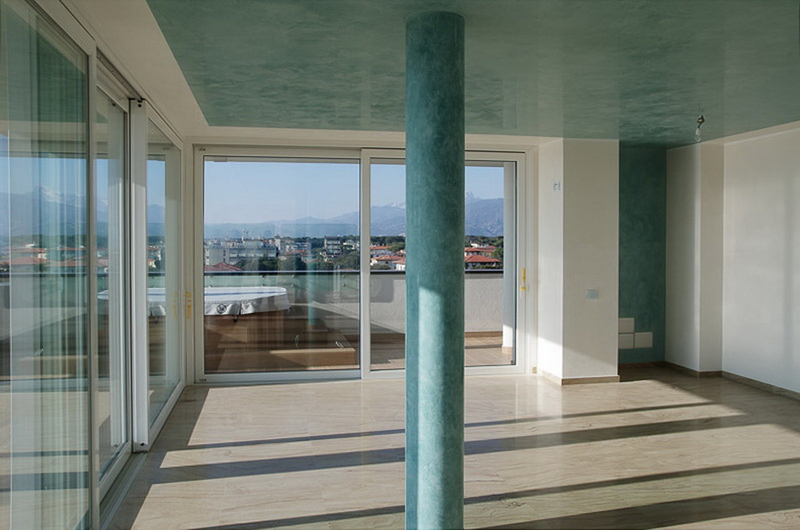 Type 3 First floor - Price 1.460.000 € Second floor - Price 1.560.000 € 4 apartments still available. Total surface area of 132 sq.m, benefit from porch and balconies and comprise: - Living room - Kitchen - Pantry - 1 bedroom - 2 single bedrooms - 2 bathrooms - Store cupboard - Porch of 22 sq.m and 7 sq.m of balcony space. Saleable surface area: 153 sq.m. 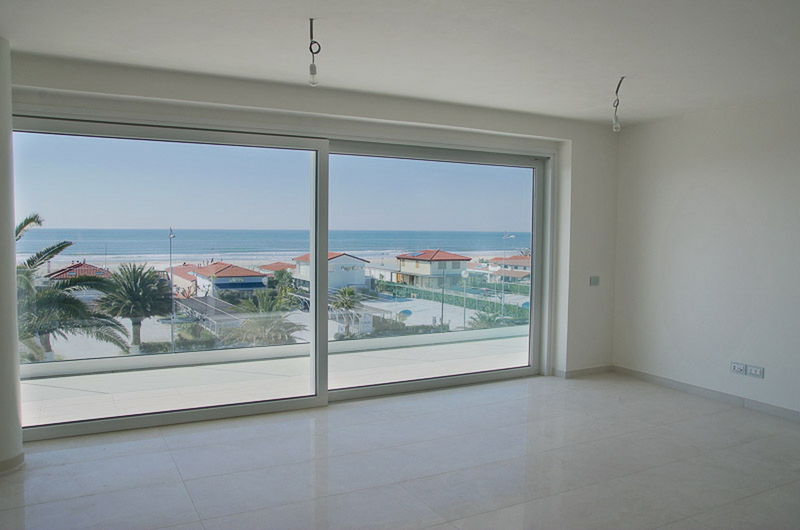 Type 4 First floor - Price 1.460.000 € Second floor - Price 1.560.000 € 4 apartments still available. Total surface area of 126 sq.m, benefit from porch and balconies and comprise: - Living room - Kitchen - Pantry - 1 bedroom with wardrobe and private bathroom - 1 bedroom with private bathroom - 1 single bedroom - Bathroom - Store cupboard - Porch of 22 sq.m and 7 sq.m of balcony space Saleable surface area: 146 sq.m. Covered parking spaces available to purchase separately. State and finishing The apartments, which are new and have been built with high quality materials and finishings, benefit from: - Air conditioning - Bticino My Home home automation system - Automatic lights and blinds - Automatic shutters and curtains - Thermostatic temperature control - Burglar alarm - Technical alarms - CCTV - Video entryphone with touch screen - Under floor heating system with condensing boiler - Air quality control system - Central hot water system using solar panels on the roof of the building, meeting 50% of the annual energy needs for each unit - Water softening station. External areas Each apartment has its own private outdoor space. 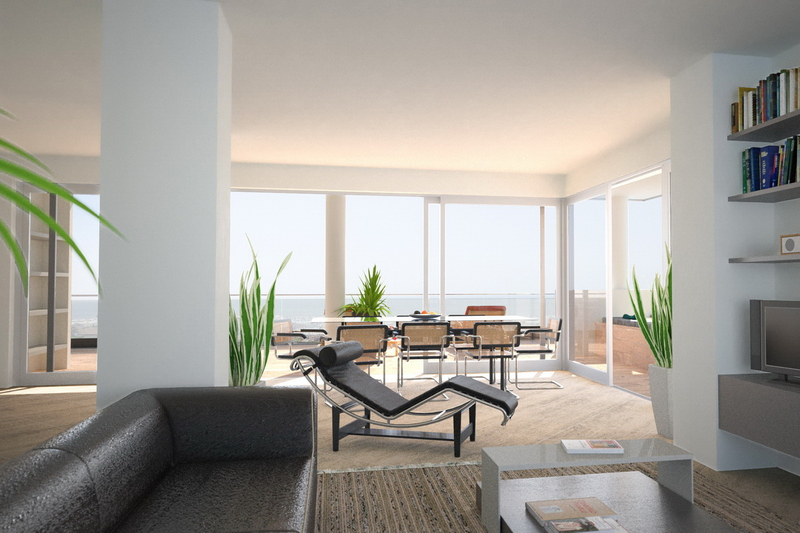 The type 1 apartments (on the ground and basement floors) have private garden on two sides, with footpath, a porch of 22 sq.m, a balcony accessible from two of the bedrooms and a small balcony accessible from one of the bathrooms. 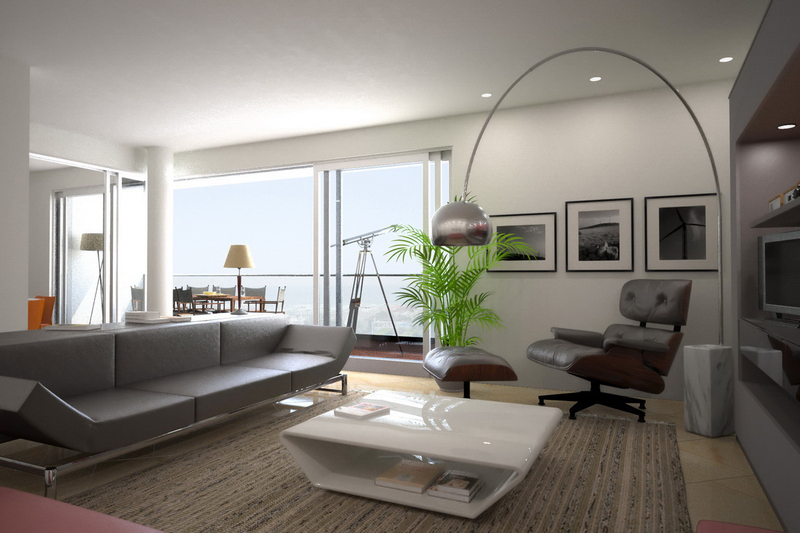 The type 2 apartments (also on the ground and basement floors) have an exclusive garden of around 680 sq.m, with pedestrial and car access and parking for two cars, a 22 sq.m porch, a balcony accessible from two of the bedrooms and a small balcony accessible from one of the bathrooms. 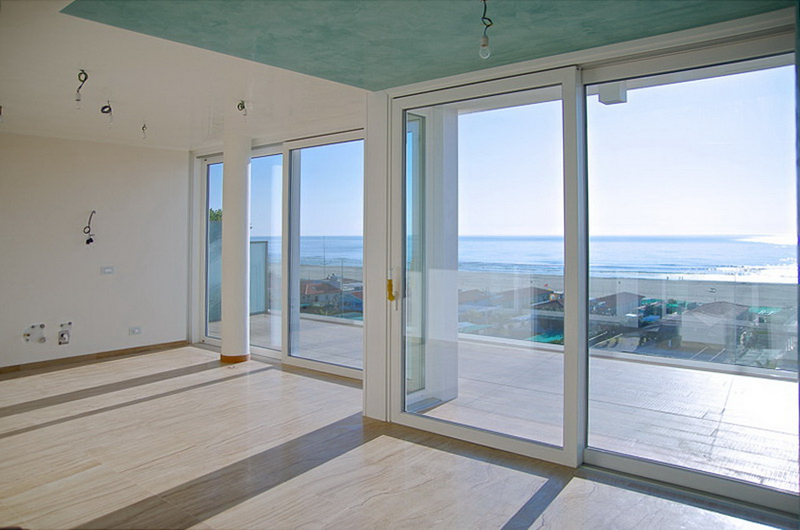 The type 3 and 4 apartments (on the first and second floors) have 22 sq.m porches, with beautiful sea views, a balcony accessible from two of the bedrooms and a small balcony accessible from one of the bathrooms. 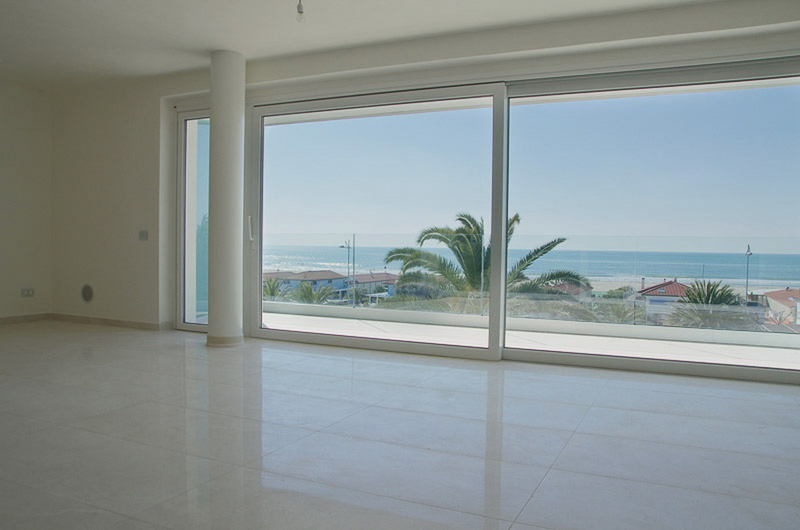 Use and potential uses Thanks to the location and its features, the property is perfectly suited to be a main home or as a luxury holiday home.